Excellent quality as usual from What Price Glory. I ordered the size 15 E - none of the other vendors go beyond 14 and most are 13. 15 wide is my size and on receipt, the shoes fit perfectly. I noticed another review mentioned the Bataan memorial Death March and that's what I got these for - I wear thew uniform of the New Mexico National Guard Coast Artillery who were at Bataan. I've been using look-alike chukka boots and so happy to have the correct repros!!! I'm wearing them as I write this and will put a good 100 miles on them in preparation for the full walking Bataan marathon of 26.2 miles. As part of my job, I also monitor a WWII event on BLM-managed public land (March on Rome) and do so in period uniform so I don't impact the event with a modern agency uniform. So the garrison shoes will be used for that purpose too. Thanks so much for carrying size 15 E!!! Boots were shipped very quickly and arrived in good shape. Wore them in the field for 3 days with no problems. Surprisingly comfortable, even when marching or running. Awesome! They complete the impression! Received my Garrison Shoes, lightning shipping, have been wearing them for the past four days, outstanding comfort and fit. i will be purchasing another pair. Got my boots in short order. I would rate then a 5 except for one small issues. I'm not sure how these compare with the actual shoes of the period but they are a little rough on the inside. I added some supple leather at the heel to soften them a little. Overall they look great and I'm impressed the soles and stitching. I would buy them again. The third pair I have ordered in 6 years. Great boots, they are my daily work boots and hold up very well. Nice quality. Super fast delivery as well. Very well made shoes, never wore anything like that before in my life. Might buy another pair, just to have em. nkle boots arrived today and look great. The leather feels a bit light but I don't have originals to complare them too. Having said this, they look good enough that I will be wearing these with my "civilian" clothing as well. Very nice shoes, very good made. Well constructed shoes, but the leather is of poor quality and very thin compared to originals. Wore them to work to day to break them in - very comfortable for an old leather shoe. Fit well, no squeaks and rubbing, even looked good. Sorry for this bad feedback, but the quality of the product is not what I expected for US 135.00. Arrived within the week. I like them very much; surprised how well they fit. do you think you'll offer them in black? ; or even in a darker earth brown? They look great but I had to send them back as they were too big. I ordered instead the Officer Russet dress shoes but have not received them yet. I got my Garrison Shoes (Size US 7) and the AN-6530 Goggle today, thanks god, the size US 7 of this boots actually fits my feet perfectly (normally I wear the boots of size 8 or 8.5)! I'm so pleased and satisfied with your service and communication, the quality and the workmanship of this boots and Goggle, the AN-6530 is true to orignal, my German friends love it so much, so I'd like to recommend WPG to all my friends, who collect the WWII US Army (Air force) Equipments. 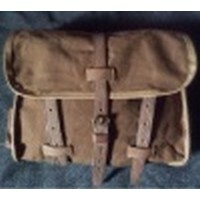 Many thanks, Jerry, I'm looking forward to the next purchase of "WWII US Army Officer 4-Pocket-Tunic OD" and will be back in the not too distant future. These boots/shoes wear well and are comfortable. I''ve had mine for over a year and put over 100 miles on them in all weather except snow, including two 15 mile marches through the New Mexico desert as part of the Bataan Memorial Death March. Put a gel insole in them and you won''t have any problem. If you plan do to serious walking in these like I do it''s best to experiment with socks and insoles. My right foot is larger than my left and I found that a gel insole in the right shoe lifted my foot too much so the rear of my heel rubbed against the molded rear of the shoe, with painful results after 4-5 hours of walking. Moleskin under the heel and ball of the foot is also recommended. If you''re simply standing around a thin insole and comfortable socks will work well.